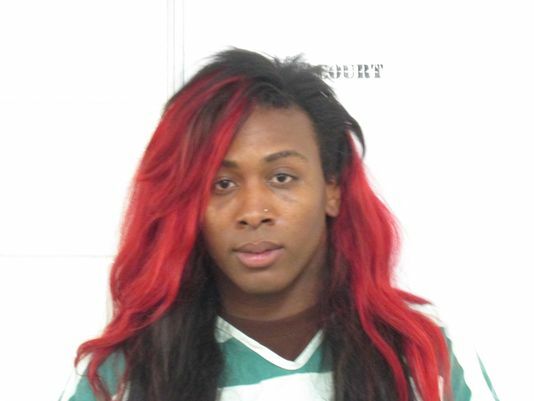 A black transgender woman, 22 year old Meagan Taylor, was arrested last Monday by Des Moines, Iowa police after staff at a hotel she was at with another transgender friend called police. According to the police report, officers were called because the staff were worried "two males dressed as females" were engaged in prostitution. Taylor is currently being held in solitary confinement at Polk County Jail because they are unsure of whether to place her with men or women according to the Des Moines Register. She could be there for months. Her next court date is set for August 25th, and though she could post $200 of her $2,000 bail and be released, she would need a local to co-sign as she was a visitor from out of state. Taylor, who does not have a lawyer yet, does not know anyone who lives in Des Moines. Taylor told the Register that police found no evidence of prostitution but arrested her after proceeding to search her anyway and finding pills in an unmarked bottle that she says are for her hormone therapy. She is being charged with possessing prescription drugs without a prescription, an outstanding probation violation, and "malicious prosecution" which the Register could find no explanation for. “It seemed like they were trying to find something to charge me with,” she said. Federal guidelines oppose long-term isolation of transgendered prisoners, and recommend decisions on whether to house them with male or female prisoners be based on the individual.